I just found out that for my site to stay successful I needed to include more cats. I’ve been reading a lot of Tom Gauld’s work lately and I’ve been inspired to make a bunch of meta history and literature jokes. So if you didn’t like my museum vase’s cartoon you might want to watch out, smart jokes will be continuing. Additionally another one of my cartoons is featured on openme.com. Be sure to check it out! It’s one of my favorites, and it was also my first post on this site. 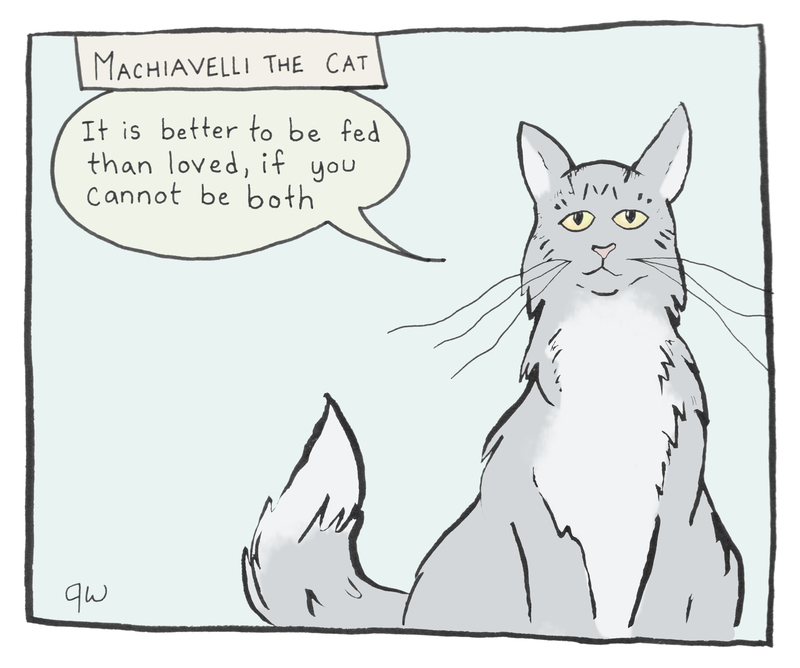 This entry was posted in Uncategorized and tagged cat, Greeting card, Machiavelli, Niccolò Machiavelli, Open Me, Tom Gauld. Bookmark the permalink.